This review of social science bibliometric literature seeks to establish characteristics of the social science literature and to understand their consequences for the coverage of literature databases and for interpretation of bibliometric social science indicators based on such databases. The paper reviews what we know about social science publishing and database coverage of it. 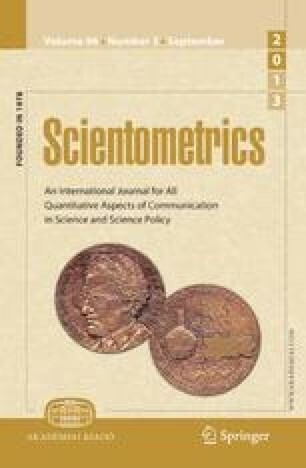 It examines the main reasons why social science bibliometrics are problematic, namely: the centrality of books in social science literature and their high citation rate; and the national orientation of social science literatures. The paper then looks at reasons why social science bibliometrics holds increasing promise, namely: increasing internationalization; and good coverage of scholarly journals.